The IRS considers your request for and Installment Agreement or Offer in Compromise. If your request is rejected, the IRS will suspend collection for another 30 days, and during any period the Appeals Office is considering your appeal request. You live outside the U.S. continuously for at least 6 months. Collections is suspended while you’re outside the U.S. and, if at a time of your return the normal collection period would expire before 6 months from the date of your return, the extended period won’t expire before the expiration of the 6 months after your return. 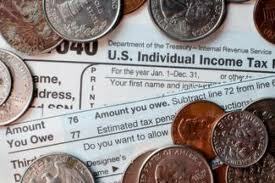 The Tax periods the IRS collects on are included in a bankruptcy with an automatic stay. We’ll suspend collection for the time we can’t collect because of the automatic stay, plus 6 months. You request a Collection Due to Process hearing. Collection will be suspended from the date of your request until a Notice of Determination is issued or the Tax court’s decision is final. The IRS is considering your request for the Innocent Spouse Relief. Collection will be suspended from the date of your request until 90 days after a notice of Determination is issued, or if you file a timely petition to the Tax Court, until 60 days after the Tax Court’s final decision. If you appeal the Tax Court’s decision to a U.S. Court of Appeals, the collection period will begin 60 days after the appeal is filed, unless a bond is posed. This entry was posted in IRS Collections and tagged Back Taxes, File Returns, File Tax Return, Tax Problem Solutions, Unfiled Returns. Bookmark the permalink.